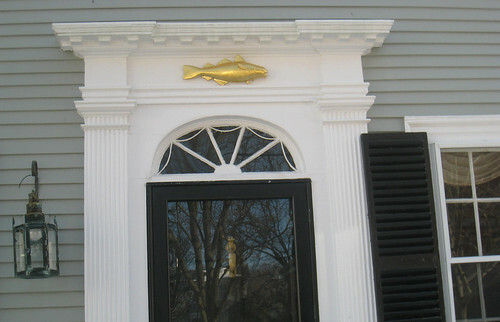 When I first moved to our new town by the sea I immediately fell in love with the hand carved sperm whales and golden cods that appear above many of the front doors. 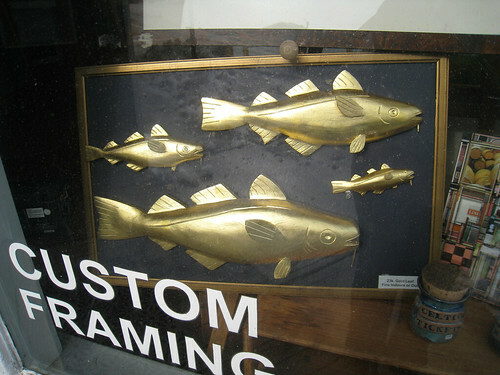 I’m partial to the sperm whale but the golden cod is a very traditional symbol of the New England fishing industry. The hand carved sculptures are designed by local Marbleheader Ray Abbott. Whales and cods can be ordered and purchased through Arnould Gallery. Prices range from $45-$500 depending on size and choice of finish—white wash, black, or gold leaf. I took a few shots inside the gallery and around town featuring the whale and cod sculptures. I’m thinking about adding a few of the little guys to our door frames inside the house too. So cute. I do not sell the carved whales. Contact “Arnould Gallery” at the above listed number for pricing info. Please send size and price information about your carved cod, pineapples and whales. 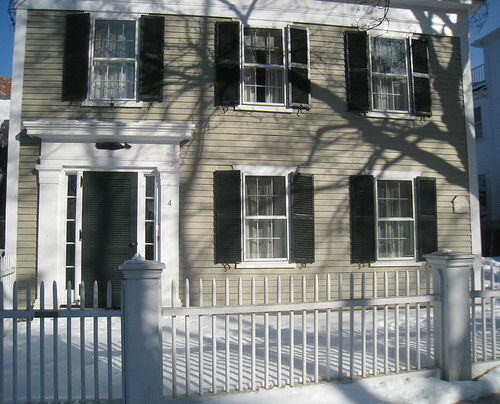 I always love seeing those on houses by the water, its such a fun New England tradition.